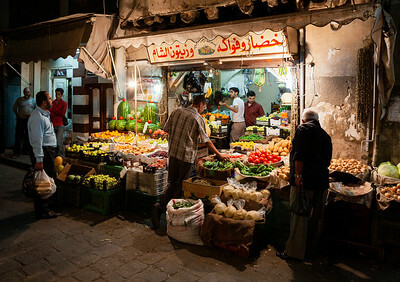 Shopping for fruits and vegetables at the Souq Bab As-Srijai market just outside of the Old City. 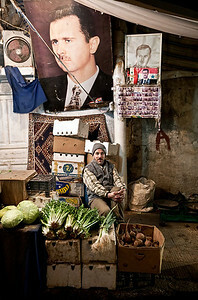 A shopkeeper poses for the camera in Souq Bab As-Srijai. 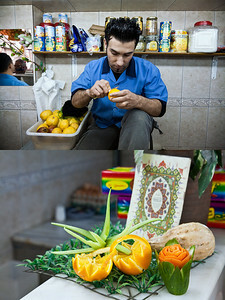 Pickles and Peppers at the Khaleeli Brother's shop in Souq Bab As-Srijai. 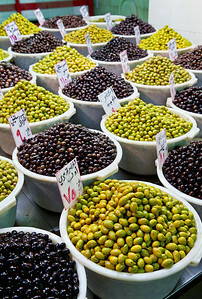 Olives for sale in Souq Bab As-Srijai. 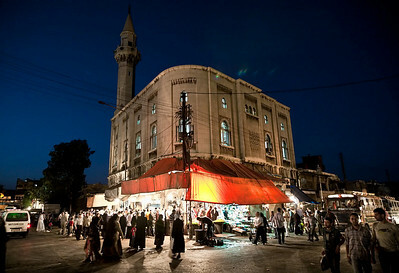 The Al-Midan sweets market stays open and lit-up all night during Ramadan, as seen here. 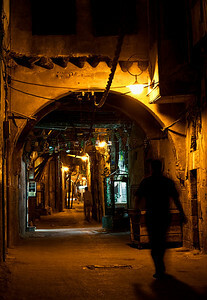 One of the Old City's narrow streets. 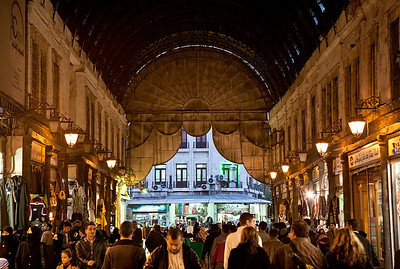 The busy Hamadia Souq, Damascus' iconic covered market. 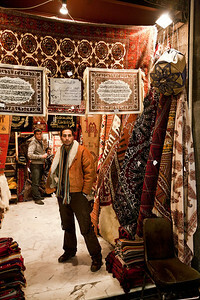 A carpet seller's shop in the Hamadia Souq. 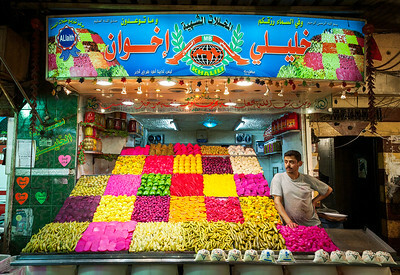 A Turkish juice stand worker creates artwork out of fruit at a shop in Damascus, Syria. 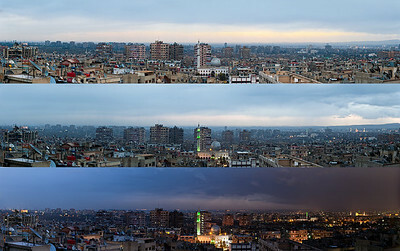 The Damascus skyline as seen from Rukn Eddin. 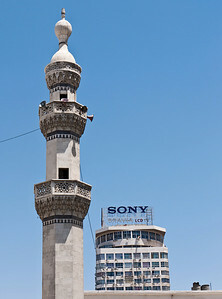 Damascus as seen from atop Jabal Qasyoun Mountain. 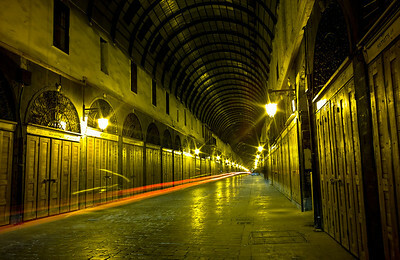 Souq Madhat Pasha, adjacent to the Hamadia Souq. 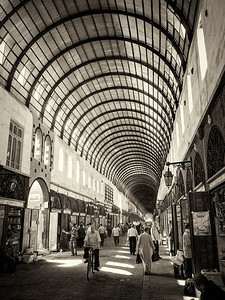 A seller at the Souq Al-Jumaa, or Friday Market. 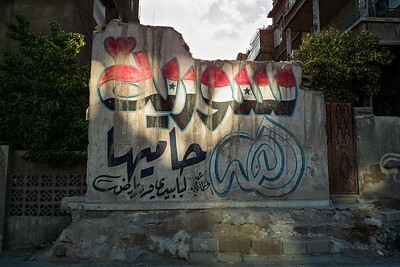 The market and bus stop at the end of El Malek Faisal Avenue. 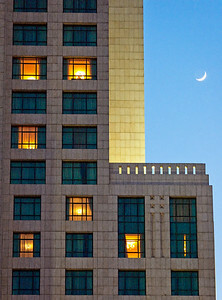 The Four Seasons hotel at dusk. 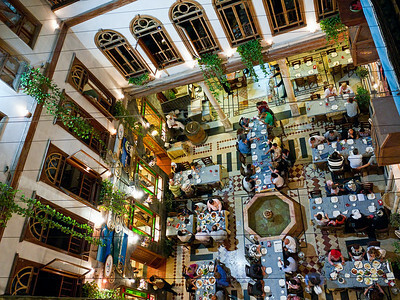 The Al-Khawali Restaurant in the Old City. At the Damascus Training Center for Palestinian refugees, a student tests his microphone before beginning to sing for the school's Dabke dance team. 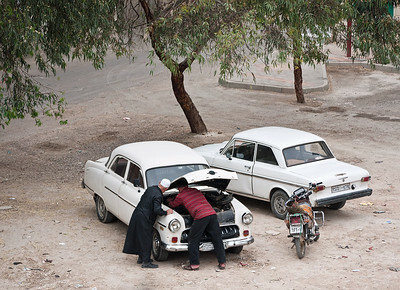 Engine repair outside an apartment complex in Jawbar. 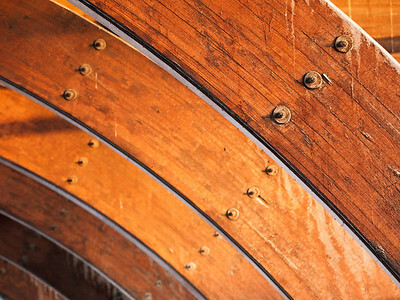 Beams at the Tishreen Stadium. 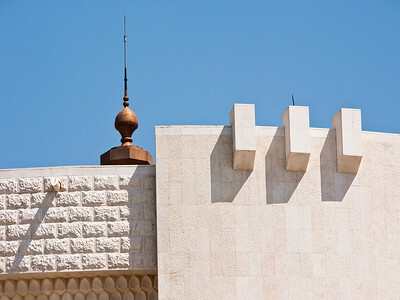 The Syrian October War Panorama Museum. 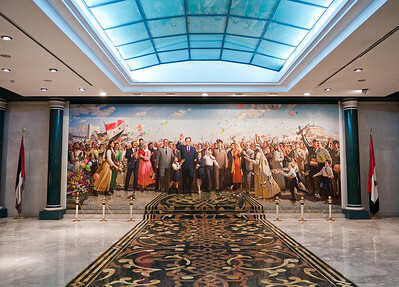 The mural of former Syrian president Hafez Al-Asad at the Syrian October War Panorama Museum. Here, he stands with Syrians dressed in traditional clothing, each one representing a different governorate of Syria or role in its society. 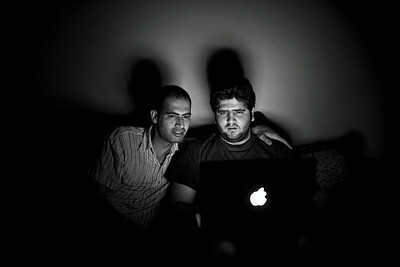 Two Syrian youths work on a Macbook laptop during a power outage.